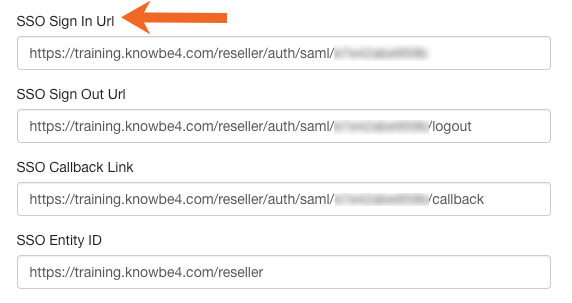 To enable SAML on your account management console, follow the steps below. For more information about SAML integration before getting started, visit our What is SAML Integration? article. 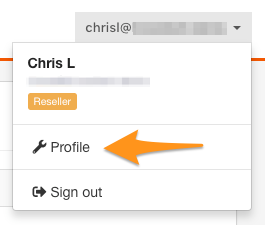 Log in to your reseller account and click on your email address in the top-right. Then, select Profile. For a service provider-initiated login, you will have to use your SSO Sign In Url. Locate your IDP information. 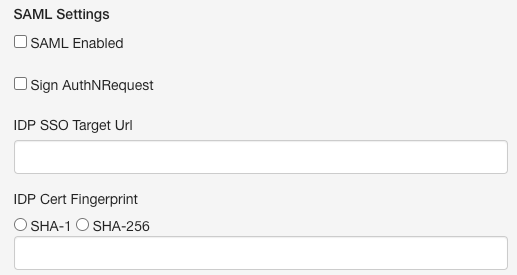 Then, enter your IDP SSO Target Url and IDP Cert Fingerprint and select SAML Enabled. Click on the Update Profile button to apply all of your changes.